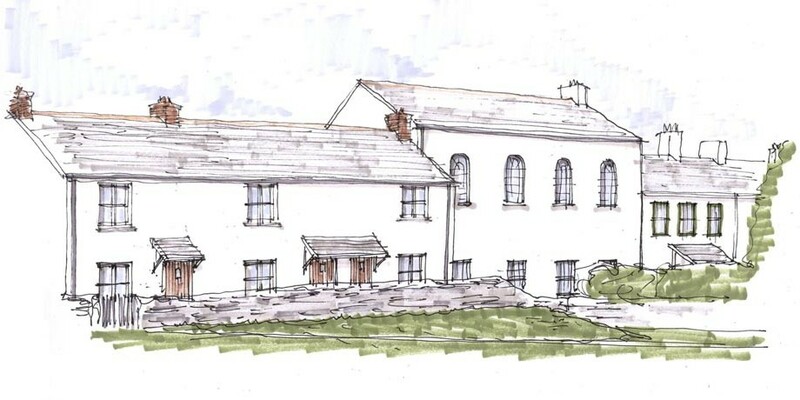 We were appointed by an International Minerals Company to prepare a detailed planning application for the residential conversion of the former Divisional Offices within the village of Lee Moor, Devon. 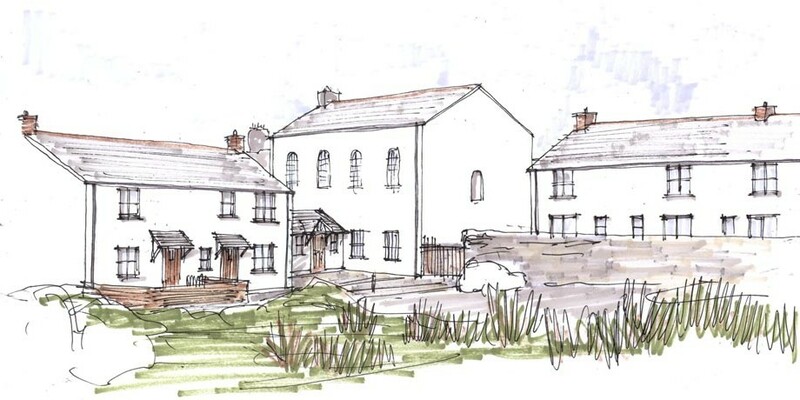 The proposal obtained planning consent for nine residential units on the site retaining the former Methodist Chapel. The scheme retains and converts the locally important former Chapel building into 2 one bedroom Apartments and 2 two bedroom Apartments. The proposal also facilitates the removal of the substandard former Sunday School building and village school building and replaces them with four two bedroom houses and a single three bedroom house. As part of the preparation of the Planning Submission Atelier 3 coordinated the professional services of numerous specialist consultants including Ecologists and viability assessors. This redevelopment will enhance the area and prevent the historic chapel from further falling into disrepair, whilst providing high quality and affordable residential units in a rural area. The proposed new build dwellings take inspiration from the surrounding vernacular and retains the historically important Methodist Chapel.